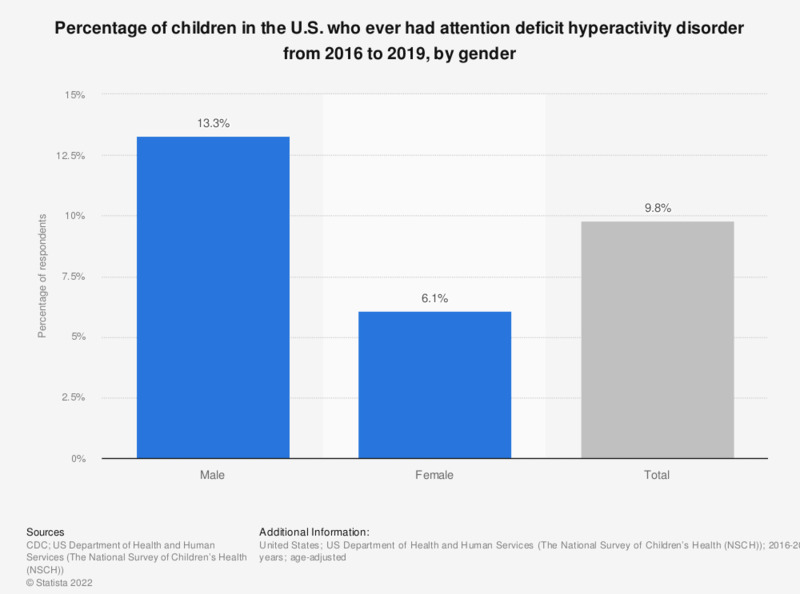 This statistic displays the percentage of children in the U.S. aged 3 to 17 years who had been told by a doctor or health professional they had attention deficit hyperactivity disorder (ADHD) as of 2017, by gender. In that year, 12.9 percent of children aged 3 to 17 years had ADHD. Based on the question, "Has a doctor or other health professional ever told you that [child's name] had attention deficit hyperactivity disorder (ADHD) or attention deficit disorder (ADD)? Statistics on "Attention deficit hyperactivity disorder (ADHD) in the U.S."